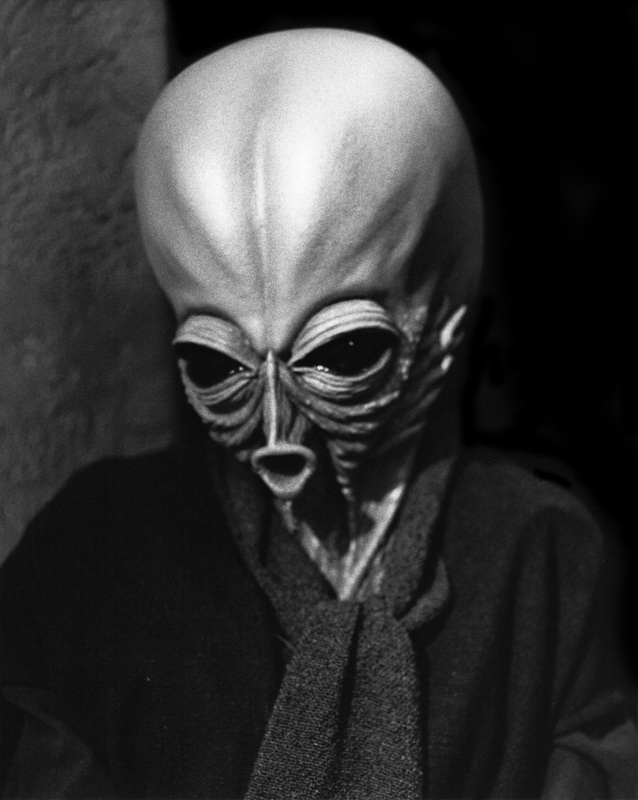 This alien of the Y’bith species likes to hang out with a furry Talz at the back table by the door in Ackmena’s cantina. 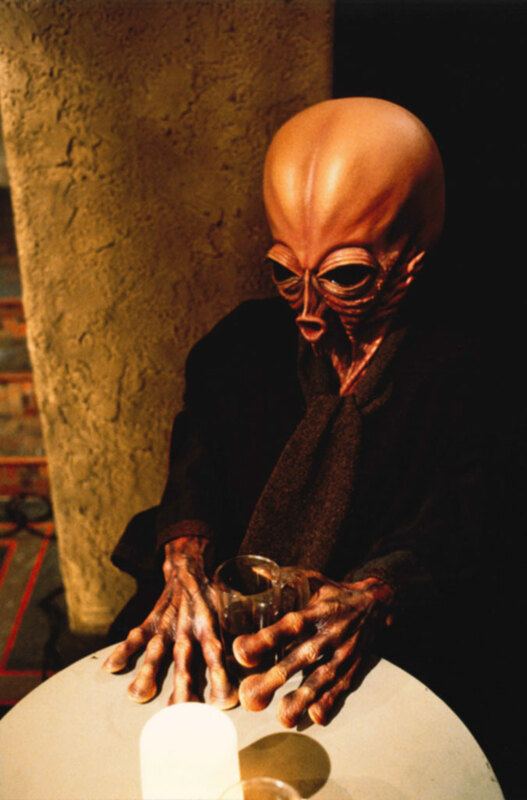 However, he and the Talz have a tendency to drink to much and pass out on the table before the end of the night, prompting a rude awakening by Tork the bouncer. 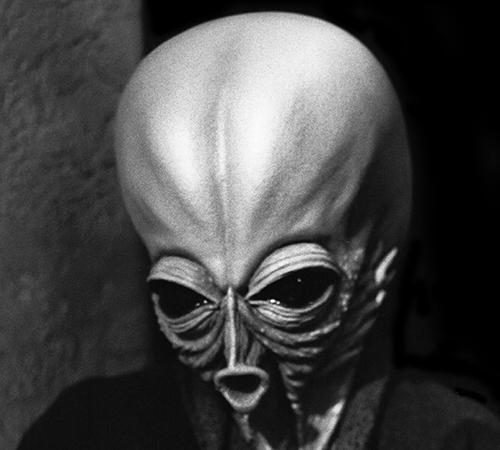 This strange alien is made from a modified Bith mask, and is seen only in The Star Wars Holiday Special. 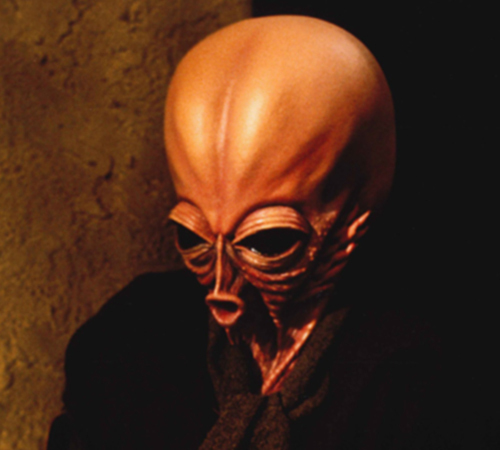 Originally unnamed, its species was given in 2006 on starwars.com as Y’bith, a genetically mutated subspecies of the Bith.